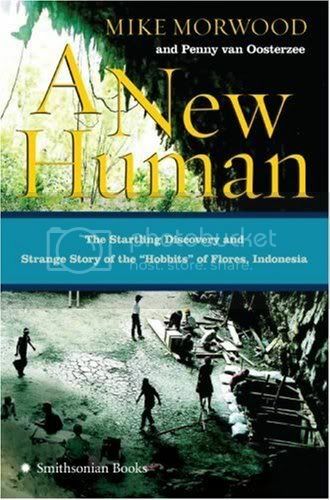 In this week’s edition of Science Talk, the podcast of Scientific American, there’s a segment entitled Little Brains, Big Brains, about the Indonesian hobbit or homo floresiensis. New museums, Hobbit commentaries and views of some of Southeast Asia’s archaeological sites – all this for today’s edition of rojak! This story of the Hobbit tooth should have come out earlier, but I seem to have missed it out. This was what’s been causing the recent Hobbit tooth furore over the past couple of days (see here and here). In an interesting twist to the hotly-debated Hobbit saga, a new book claims that the Hobbit remains appear to have had some dental work on them, overturning the supposed antiquity of the bones and thus, the new species theory. Did the Flores Hobbit Have a Root Canal? A newly-defined disease is speculated a possible explanation of the hobbit: the disease causes decreased stature and growth, but also allows for normal intelligence to develop. Suvrat Kher wonders if the Hobbit was our ancestor. Julien Riel-Salvatore writes about the Hobbit wrists and new directions in the interpretation of the associated stone tools. MumbaiGirl posts about sunrises and elephants at Borobudur. A college history and geography tour visits the temples of My Son. Eon and Chantell’s round-the-world trip also brings them the My Son sanctuary and the ancient town of Hoi An. Kambiz Kamrani takes a closer look at the bone analyses outlined in the study. The Cabinet of Wonders takes a step back to comment on the dynamics of opinion about the hobbit in Hobbits? It’s all in the wrist. While Kris points out that between a new species of human or deformed, the hobbit might not even be human. And for an overview of early human migrations through the world, TuLu Research posts a small map and timeline for your reference. On an afterthought, 900 ft Jesus thinks that the whole Hobbit affair should really mess with creationists’ heads. Andy Brouwer muses about a stolen Buddhist sculpture from a small Angkoran temple Daun Tri. Still in Cambodia, Jeremie and Rita write about the Bayon, the royal temple of Angkor Thom.